I'll tell you about my son Ryan. 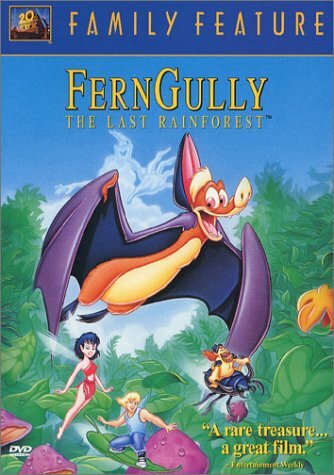 He was a perfectly normal 5 year old whom had the flu - then it made it's way through the rest of the family (myself, husband and younger daughter) - Ryan helped nurse us all back to health as any fiveyear old could do... By getting us all drinks of water and changing movies in the VCR, our favorite at that time was Fern Gully. I had kept him home from preschool on Thursday and figured I'd give him Friday and the weekend to recuperate. Saturday afternoon he was acting a bit strange. (Just staring for a bit, and sleeping on and off throughout the day), I just thought it was part of the recovery from the flu bug. By Sunday night Joel and I were concerned. After bath time Ryan would just stare off into space while I was talking to him. This was not like him at all. (He was always a VERY good child) At that point Joel asked him to count or say his ABC's. Ryan tried and tried but hecouldn't get past the first few letters and tears rushed down his face (as they are mine right now). He didn't want to go to the hospital but we took him anyway. Ryan never spoke again. That morning when I woke up I went to get him - he was lying on the couch and had wet himself, I found this to be odd since he was five and had been potty trained for quite some time. He just stared off into space and his hands shook. I ran and called 911 and called my husband at work. They returned Ryan to that same hospital which released him the night before. They began running series of tests on him. I remember him lying in the bed and a single tear went down the side of his face... I still wonder about that tear. They life-flighted him to Metro Hospital and finally found he had encephalitis from an unknown virus. It was February and very cold so we knew it wasn't mosquitoes. They said the virus had to run its course and it would take a couple weeks till Ryan would be better. That night my husband and I both slept at the hospital and the staff woke him in the middle of the night and said Ryan had taken a turn for the worse... His body began shutting down. The next morning they ran and EKG and found he had no brain waves, but were continuing testing. They took my husband and I into another room to explain to us. I thought my husband was going to go across the table while I screamed out of the room to call my parents. I just cried into the phone when my mom answered. We talked briefly and she and my father were on their way to the hospital. Once everyone arrived at the hospital they continued running that one last test. I remember hearing a foreign noise as I walked up the halls of the hospital. It was someone sobbing, though I had never heard this sound before. Suddenly I realized that sobbing sound was my father. He was always the voice of calm through any traumatic situation and now he new he was helpless as there was nothing he could do to help Ryan. Still today I can hear that sobbing sound in my head that it brings me to tears. Ryan's brain was swelling faster than they could control, until finally his small body gave up. They unhooked him from all the machines and laid him in my arms as we all said goodbye.